Our first suggestion comes in the hulking figure of Bath second row Dave Attwood. 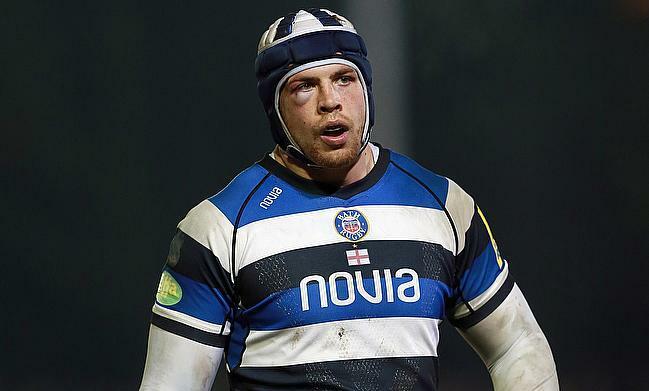 While he may have spent the last few months playing alongside fellow former England international Chris Ashton, a man ineligible for England due to his locality, Attwood is still a Bath player, leaving him available to Eddie Jones as things stand. He may not be the most skilful or athletic second row, but the lock who has won 24 caps for his country is a man mountain. The former Gloucester and Bristol man also offers ample lineout nous and leadership qualities that Jones clearly rates. Attwood was selected as the tour captain for the England Saxons’ two-game series against South Africa A in 2016, entrusted by Jones to lead the next generation of internationals and current fringe players. When you look at some of the best teams in history, they all had one particularly brutal lock. In 2003, England had Martin Johnson, the 2007 Springboks had Bakkies Botha and the All Blacks currently have two in the shape of Brodie Rettallick and Sam Whitelock. This is a role Attwood can fill, rarely taking a backwards step in contact and wise enough to know how to control his emotions when the going gets tough, another area England currently struggle with. Attwood’s leadership qualities, international experience and pure heft could add an invaluable dimension currently found wanting in England’s game. Without Billy Vunipola, England severely struggle to bring the physicality to their opponents. With Attwood fit again and producing storming form for Toulon over the last few months, Jones should be calling up the 31-year-old at the earliest opportunity to ensure he is familiar enough with the systems come 2019 and more importantly, still in the Premiership and England eligible. While Chris Robshaw, James Haskell, Sam Underhill and Tom Curry have all served England excellently under Jones, they are lacking in one crucial area - go forward. None of the aforementioned flankers are renowned for their work with the ball in hand, with Curry standing out as the most prevalent attacking threat, but as a link man, not a bruising ball runner. Underhill and Haskell (when fit) are monstrous in defence and have the highlight reels to prove it, but as with Robshaw, there is no real menace or guaranteed yardage going forward. Similarly to Attwood, Dave Ewers has had his injury troubles of late, but recently returned to fitness and managed to play a major role in Exeter Chiefs’ Premiership campaign, offering unyielding physicality, an option at the lineout and even the occasional pilfer or two. The Zimbabwean-born backrow could go some way to helping rebalance the scales in England’s favour. Jones has the option to employ Ewers as a blunt instrument, granting guaranteed go forward from the bench. The backrower could also act as an understudy for Vunipola at the back of the scrum or even persuade the coaching setup to take a leap of faith and instil the 27-year-old as a new breed of blindside flanker under the Jones regime. Either way, the England boss could do far worse than include Ewers in the next EPS. A slightly less abrasive, yet second Zimbabwean-born Exeter backrow adds to our list, with Ewers’ teammate Don Armand in the frame as a potential answer to England’s and Jones’ concerns. Armand may not offer the same level of cast iron punching power as Ewers, but he would still offer an improvement on England’s prevailing options and covers all across the backrow and at a stretch, lock. Having captained Exeter numerous times this season when Gareth Steenson took a bench role, we see another man that could help with England’s self-evident leadership issues. Jones may have proven to be less than agreeable towards Armand over the last few years, but there has arguably never been a better time to incorporate the 29-year-old. England’s issues are, for the most part, confined in the pack’s lack of sheer muscularity, but Jones’ backline is unquestionably lacking a few kilograms. When Ben Te’o is out injured, England abruptly run out of centres offering more than just playmaking ability and pace. Over the South Africa series Jones will have had a front row seat to how much the Springboks have benefitted from the powerful presence of Damien de Allende at twelve and should be considering where his alternatives lie. With the chronic lack of genuine Test centres in England, Jones has preferred to employ ballplayers in the midfield, men who have the skillsets of fly-halves to counterbalance for a lack of genuine go forward. I must admit to being slightly perplexed Atkinson is a man Jones has not taken a closer look at. At times during the season, the Gloucester centre has forced Premiership teams to adjust the way they defend off set piece, sharp to the threat of Atkinson as a ball carrier with the knack for an offload. Furthermore, the 28-year-old has spent his fair share of time at fly-half, allowing Jones to stick with his centres possessing higher than average distribution skills. England need a back up for when Te’o is not available, and if we are honest, the former Rugby League man has still not fully acclimated himself to the 15 man game. Often Te’o has proved his naiveté with squandered opportunities to release his outside men, rather, trucking the ball up and throwing away try-scoring opportunities. Sticking with our theme of former fly-halves turned bullish centre, Exeter’s Ollie Devoto is another name to add to the list. He may not be quite as substantial as Atkinson but has a slightly silkier edge to his game and at the age of 24, offers improved longevity. Devoto recently returned from a long injury layoff after featuring in Exeter’s successful Premiership final last season, ready to compete once again for a starting role down in Devon. If Devoto can prove he is back to his best, he may be able to convince Jones to help him build upon his solitary cap off the bench against Wales two years ago. The only man to rival Jonny Wilkinson for endless column inches composed in his name, despite not playing, is Leicester Tigers centre Manu Tuilagi. Blighted by injury for the last five years, Tuilagi has recently enjoyed one of his longest runs of fitness since the wretched sequence of recurring injuries began and while he is yet to prove both a clean bill of health and form, I would be remiss not to mention his name. It seems a long shot and ultimately unlikely, but a fit Manu Tuilagi at his best stands with no equal, bulldozing his way through even the All Blacks defence. Hopes may be dashed once again next season, but Jones is sure to be keeping a careful eye on Tuilagi’s progress. These are all potential names to be added to Jones’s squad and he need only take a look at a couple. But with the concerning manner in which his pack were outdone in Johannesburg and Bloemfontein, Jones must look at all six of these men as viable prospects going forward, offering something none of the current England crop are capable of.